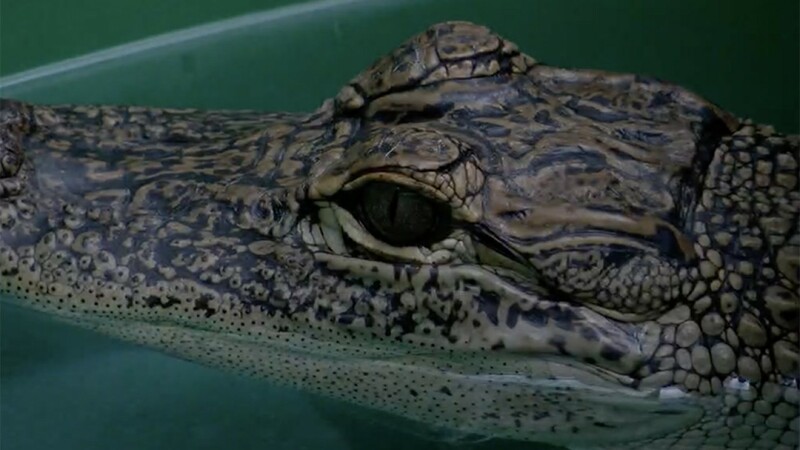 We know the alligator is Florida’s official state reptile.In the wildlife world, it is known as one of the first and most famous success stories of the Endangered Species Act. In Boca Raton, Matt Fino will always remember one moment in particular. BOCA RATON, Fla. — We know the alligator is Florida’s official state reptile. In the wildlife world, it is known as one of the first and most famous success stories of the Endangered Species Act. In Boca Raton, Matt Fino will always remember one moment in particular. "Look in the pool and I see an 8 foot alligator," said Fino. "Come outside now and look in the pool and he’s not there. We all chuckle about it." Not to say it’s common for a gator to take a swim in your pool, but there is a takeaway from Fino’s story. It’s a sign of a gator recovery. "Alligator kind of rebounded," said Kenan Harkin with Kamp Kenan. Harkin said gators were close to extinction years ago. To save the gators, wildlife officials placed them on the Endangered Species List from 1967 to 1987. During that time, hunting was prohibited and their habitat protected. "Allowed us to back off and let this animal recuperate," said Harkin, who added there are now hundreds of thousands of gators here in Florida. So what’s the lesson here with other species struggling like the manatee and Florida panther? "Realize we’re truly in paradise. We have to work with nature and not against it," said Harkin, who believes we need to learn to appreciate animals like Fino does. "One of those things that’s going to be ingrained in my head forever," said Fino.